Yesterday, XYZprinting unveiled the da Vinci Color at IFA 2017 in Berlin, Germany, which they bill as the world’s first full color filament 3D printer. I saw it in person last week, and I have two say it’s an impressive machine. The printer runs on XYZ’s 3DColorJet technology, a process that combines inject printing with fused filament fabrication (FFF) 3D printing. In essence, the printer uses XYZ’s proprietary process to print on their 3D Color-Inkjet PLA, a specially formulated clear PLA, with CMYK inkjet cartridges, not unlike what you’d find in a standard desktop inkjet printer. The 3DColorJet technology enables the daVinci Color to print in the full color spectrum of 16 million colors. The ink is embedded into outer shell of the print and dries in 5 seconds, and a layer of the clear PLA is printed over that, sealing in the color. The da Vinci Color is a CES 2017 Innovation Award Honoree and is meant to be extremely easy to use with features such as hands-free auto-calibration, a magnetically attached removable print bed and a 5-inch color LCD touchscreen. It provides a generous 7.9″ x 7.9″ x 5.9″ build volume. Though the footprint of the da Vinci Color is rather large (21.1″ x 22.8″ x 25.7″ and weighs 71 lbs. ), not unlike the Hyvision’s Cubicon Single Plus, it has an activated carbon filtration system. XYZprinting seems serious about making 3D printing environmentally safe, as their PLA filament is not only biodegradable but compostable, enabling it to biodegrade more quickly than standard PLA. The da Vinci can print at up to 120mm/sec and has a layer resolution of 100 – 400 microns. Connectivity is through USB or Wi-Fi. XYZprinting believes that the da Vinci Color will appeal to a wide range of professionals and makers to make things such as accurate detailed props and sets for filmmaking, architectural models, collectibles, and educational models, and will allow small business owners to set their products apart from the competition. 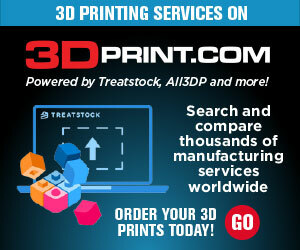 You could even start your own 3D printing business centered around this printer. I can see a lot of scenarios where this 3D printer would really shine, from embedding logos to unlimited customization of textures, which is great for prototyping and for end-use products. Full color printing would be very valuable for student projects and XYZprinting has a full K-12 STEAM curriculum for 3D printing. Full color dinosaurs? Yes, please! The da Vinci Color’s MSRP is $3,499.95, but it’s available for preorder on the XYZprinting e-store for $2,999.95. The 3D Color-inkjet PLA retails for $35 for a 600g spool, and the CMYK inkjet cartridges go for $65 each (you will need 4). If you want to see it in person, it’s on display at IFA 2017, September 1st – 6th, at The Berlin Exhibition Grounds, Hall 13, Booth 102. It’s a game changer and definitely worth a look.